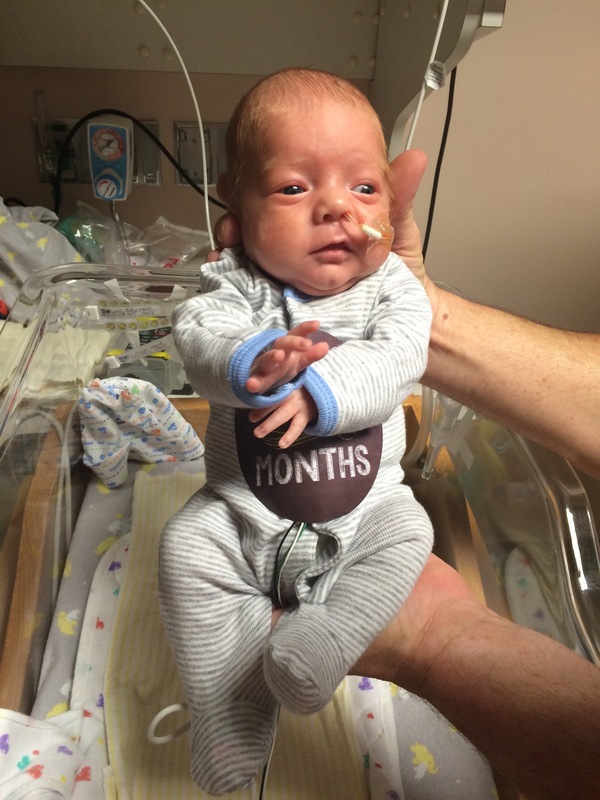 In the NICU – #lovenotesfornicholas – the story of HELLP & how 1 micro-preemie changed our lives forever. Over the Christmas holiday we visited the NICU at Golisano Children’s hospital – where Nicholas was born & spent his 1st days. When we left the hospital in 2014 they had begun construction on a new NICU. The new NICU wing of the hospital will be ready next Spring. There will be private rooms for families where mamas & dadas can sleep with their babies. There will be privacy. Andy (somewhat) joked that he was glad the wing wasn’t ready when we were there because he knows he wouldn’t have been able to pull me away. He’s (probably) right. Still, I am thrilled that this wing will be ready for families. Tickled. What a beautiful thing to have privacy with your early arrival. The next time we visit it will be ready. And, they are building a library in part to the donations received through our LoveNotes program. I couldn’t be happier that more families will have access to books during their stay. We spent the majority of our visit with our dear nurses at the NICU. I couldn’t imagine life without them now. They are like long lost sisters & aunts. As promised we delivered care package goodies for NICU families – over 150 blankets, 30 preemie hats, and over 60 books. Thank y’all for your love, support, & donations. We couldn’t do this without so many of you – it really does take a village. 69 days. 69 days and just like that, we were done. On Friday December 12th, at 7 PM Nicholas was discharged from Golisano Children’s Hopsital. To be honest, part of me wanted a bit more pomp & circumstance than what came with a discharge from the NICU. After all this time in the NICU, to just hear “Okay, bye.” was a bit underwhelming. Don’t get me wrong. I didn’t expect a red carpet rolled out and the nursing staff to be along the carpet throwing flowers at his feet and cheering us as we left but I did hope for a bit more time to say goodbye. A bit more time to process where we had been, what we had been through, and where we were going now. Andy & I had looked forward to and counted down the minutes to this day – the day we could take Nicholas home. But now that it was here part of me wasn’t ready. I wasn’t ready to say goodbye to the nurses who had become friends. I felt lost knowing I didn’t have to go scrub in for 3 minutes with surgical grade soap each time I wanted to see or hold Nicholas. I wasn’t sure what I was going to do the next morning when I didn’t have to call into the NICU to see how his night had been. I wondered how I would spent the 2 hours I had back in my day now that we didn’t have to drive to and from the NICU. The last 2 weeks of this journey were the hardest 2 weeks of this entire ordeal. We were so close to coming home we could feel it. Each day that went by and we didn’t come home was heartbreaking. I threw my fair share of temper tantrums in the hospital parking lot with Andy by my side during these 2 weeks. Through tear-streaked cheeks I would say to Andy, “Why Us. What on Earth did we do to deserve this. This is not fair.”. Andy, not a man to wear his heart on his sleeve, would calmly reply “It isn’t supposed to be fair. We were just meant to be stronger people. And we will be.”. True-er words have never been spoken. Folks told us from the beginning that this would be a journey. And what a journey this has been. I do know, and am thankful, that our journey wasn’t longer and bumpier. It could have been. In my time in the NICU with Nicholas I have seen things I cannot un-see. There are families that aren’t as lucky as we are. It is heartbreaking yet beautiful all at the same time. Some situations were dismal yet love was abundant – proof positive that there can be true love in the chaos. Some days I have managed the load of this experience better than others. I have laughed at things that aren’t really funny just to feel the release of endorphins. I have lost sleep. I have had little or no appetite. I have cried. And I have sobbed. I have bit my tongue when all I wanted to unleash were a long string obscenities (sometimes I didn’t bite my tongue long enough – I should probably apologize to a few nurses). I have fought the overwhelming urge to scream at the top of my lungs – to just stand up in the chaos of it all and just scream for it to stop – just for a minute – so I could catch my breath. But, most of all I have prayed. I have prayed until I ran out of words. Whether they be words of thanksgiving, thoughts for others, or asking “Why Us?”, I have prayed. When I ran out of words, I sat in silent prayer – exhausted from the day and numb from the experience – and rested in the arms of Jesus. But, here it was – the day we had waited, cried, and prayed for. I was anxious. Anxious to begin our lives with Nicholas outside of the confines of the Hospital. We had spoken of all the things we would do with Nicholas once he came home and now that the day was here it was time to start checking off the bucket list. As we packed Nicholas’ things up and prepared to leave it was bittersweet to say the least. As I sit here and put these thoughts down, it still is. I will miss the people that saw us through such hell but I will not miss the stress of the days spent by his bedside watching and wondering what tomorrow will bring. As we left the hospital doors, there was a rush of release for all 3 of us. It was as if we had all been holding our breaths for 69 days and now that we were out, we could breathe again. As we drove to St James City we felt like the family I had longed for since we found out we were pregnant. How we got to that car ride wasn’t what I had planned but, if this journey has taught me nothing else it has taught me that life is a gift that can’t be planned. It can only be embraced – which is exactly what we plan to do with Nicholas for the rest of his life. 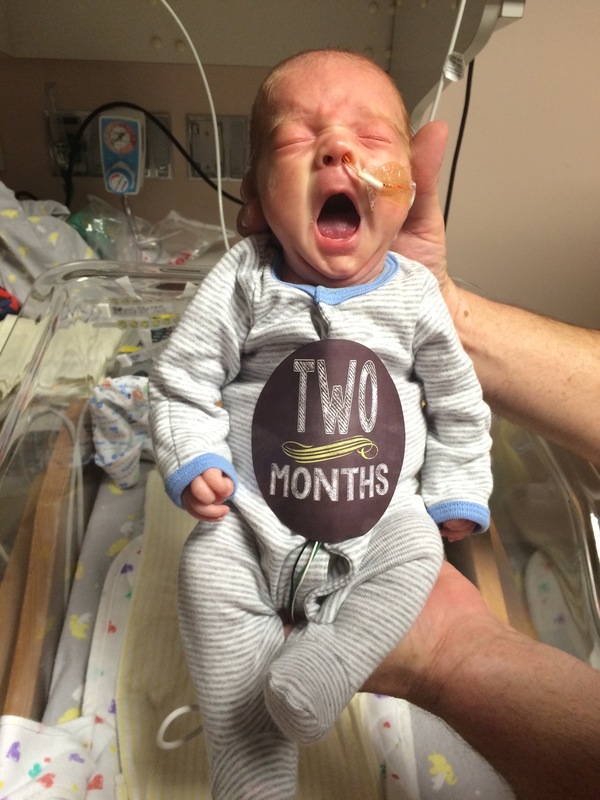 I will continue to share our story here as Nicholas’ journey as a successful preemie baby isn’t over – it is just beginning. Join us for this adventure.